(2) assist in the practice of pharmacy unless registered by the board as a pharmacy technician. (c) submit a copy of proof of certification by PTCB or other board approved certifying entity. (c) provide the name and address of the pharmacy in which the technician-in-training is employed. A change in place of employment will require submission of updated information within ten working days of the change. (3) The permit to practice as a technician-in-training shall be valid for a period of not longer than 18 months. 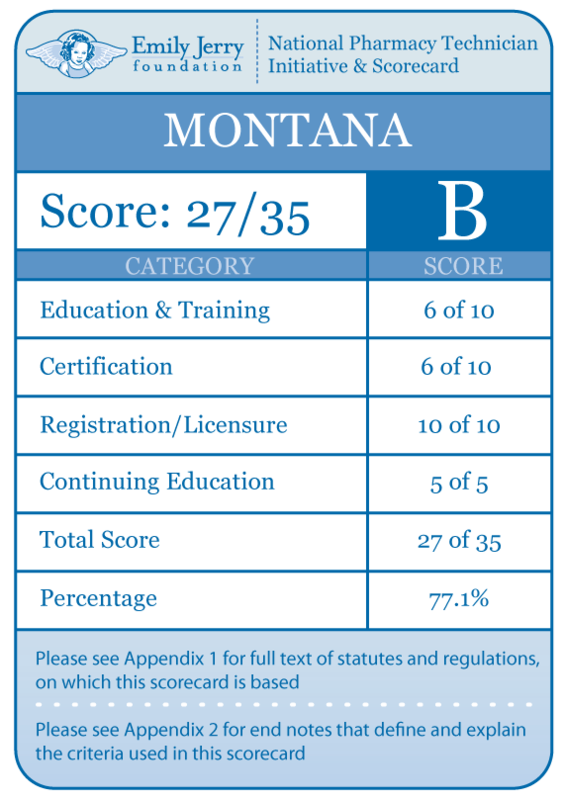 A technician-in-training applicant who has not passed the Pharmacy Technician Certification Board (PTCB), ExCPT, or other board-approved certifying exam within the 18 months due to extenuating circumstances may file a written request to the board for an extension of his or her technician-in-training license. The board will then determine when the license will expire. A technician-in-training whose license has expired but who did not pass the requisite exam may not apply for a technician-in-training license a second time. (4) Working as a technician-in-training with an expired license is cause for disciplinary action against the licensee. History: 37-7-201, MCA, IMP, 37-7-201, MCA; NEW, 2002 MAR p. 86, Eff. 1/18/02; AMD, 2010 MAR p. 74, Eff. 1/15/10. (d) certified by the Pharmacy Technician Certification Board (PTCB) or other board approved certifying entity. (2) No pharmacist whose license has been denied, revoked, suspended, or restricted for disciplinary purposes shall be eligible to be registered as a pharmacy technician. History: 37-7-201, MCA; IMP, 37-7-201, 37-7-301, 37-7-307, MCA; NEW, 1992 MAR p. 1608, Eff. 7/31/92; AMD, 2001 MAR p. 86, Eff. 1/18/02; TRANS, from Commerce, 2002 MAR p. 904. (1) A pharmacy technician may not perform tasks which require the exercise of the pharmacist’s independent professional judgment, including but not limited to, patient counseling, drug product selection, drug interaction review or drug regimen review. (2) When a pharmacist is not in the prescription department, there shall be no dispensing of new prescriptions that the pharmacist has checked and that are waiting to be picked up, nor shall counseling be provided by the pharmacy technician. (3) No medication may be released to a patient without review by a registered pharmacist for the accuracy and appropriateness of the prescription drug order. (4) All technicians and auxiliary staff shall be made visually identifiable by name and job title utilizing letters of 16 point or larger on a name badge. (5) All pharmacy technician licenses and technician-in-training permits must be conspicuously displayed at all times in the place of business. History: 37-7-201, MCA; IMP, 37-7-101, 37-7-201, 37-7-301, 37-7-307, MCA; NEW, 1992 MAR p. 1608, Eff. 7/31/92; AMD, 2000 MAR p. 2005, Eff. 7/28/00; AMD, 2002 MAR p. 86, Eff. 1/18/02; TRANS, from Commerce, 2002 MAR p. 904; AMD, 2010 MAR p. 74, Eff. 1/15/10. (iv) name and signature of the person supervising the training. (2) An initial training program must include on-the-job practical training and didactic education that is commensurate with the tasks and functions a pharmacy technician may perform. 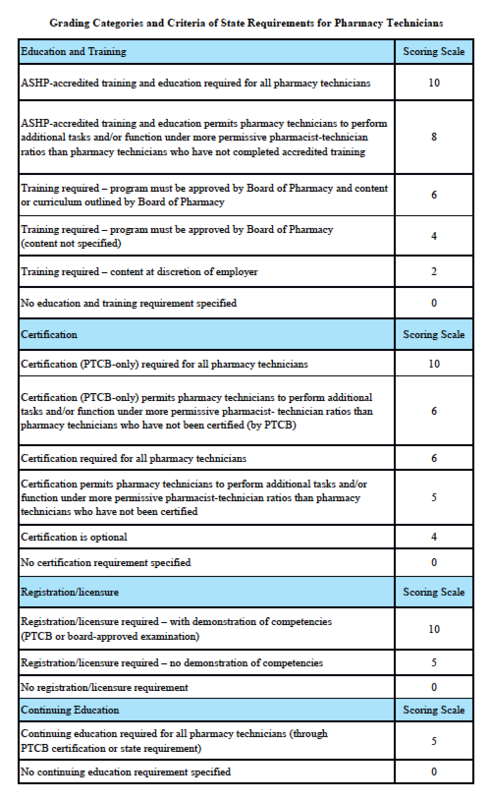 A supervising pharmacist must obtain the board’s approval of an initial training program prior to undertaking the training of a pharmacy technician pursuant to the program. (3) Verification of completion of training, by test or otherwise, shall be recorded by the supervising pharmacist, and shall be available for inspection with the training record. History: 37-7-201, MCA; IMP, 37-7-201, 37-7-307, MCA; NEW, 1992 MAR p. 1608, Eff. 7/31/92; AMD, 2002 MAR p. 86, Eff. 1/18/02; TRANS, from Commerce, 2002 MAR p. 904. (e) prepackage unit dose drugs for internal distribution. These prepackage unit dose drugs must be quarantined together with bulk containers until the supervising pharmacist performs a final check and maintains appropriate records. (h) compounding if a mechanism for verification by the supervising pharmacist exists that includes checking of: the original order; additives; dosages; and clarity of IV solution, where appropriate. (2) The board reserves the right to evaluate and amend the functions allowable by a pharmacy technician, with final determination in the sole discretion of the board. History: 37-7-201, MCA; IMP, 37-7-101, 37-7-201, 37-7-301, 37-7-307, MCA; NEW, 1992 MAR p. 1608, Eff. 7/31/92; AMD, 2002 MAR p. 86, Eff. 1/18/02; TRANS, from Commerce, 2002 MAR p. 904; AMD, 2006 MAR p. 1615, Eff. 6/23/06. (i) use of pharmacy computer systems, if applicable. (i) utilize the TCT program as a tool to redirect pharmacists from distributive tasks to cognitive and patient centered activities. (c) complete site specific training in the TCT program. (d) regular quality assurance audits performed quarterly for the first year then every six months thereafter. (4) Approval from the Board of Pharmacy or designee is required prior to program implementation. (5) If at any time a technician loses their validation, that individual must not function as a TCT until they are retrained and revalidated. (6) All TCT program materials should be readily retrievable for review by the board inspector. (7) Any facility that is not within an institutional pharmacy within a hospital must come before the board. History: 37-7-201, MCA; IMP, 37-7-101, 37-7-201, 37-7-301, 37-7-307, MCA; NEW, 2007 MAR p. 1936, Eff. 11/22/07. (1) Pharmacy technicians will be required to renew each year on the date set forth in ARM 24.101.413.